Aspen A Plus Executive Transportation provides enchanting Sonama Valley limousine wine tours. Our service will provide you with an elegant vehicle equipped to transport you and your guests throughout this breathtaking area and visit the wineries of your choice. Stop along the way and visit the quaint shoppes that line the valley or tickle your tastebuds with the fabulous food that is provided by the many restaurants located within the wineries themselves or along the way. Enjoy all that Sonoma Valley offers by taking a Sonoma wine tasting limousine tour by Aspen A Plus Executive Transportation. Our Sonoma wine tours will take you to the wineries of your choice or allow one of our wine tour experts to help you choose the tour based on one of our tried and true routes. Wine tours are a wonderful way to celebrate a birthday, anniversary, bachelorette party or any special occasion. Your Sonoma wine tasting limousine tour will begin as soon as one of our professional chauffeurs picks you and your guests up in one of our signature vehicles be it a sedan, SUV or a Mercedes Sprinter Limousine. We will then whisk you away to one of the many gorgeous wineries located within the Sonama Valley to enjoy their delicacies. Enjoy all that the winery has to offer and climb back in to your awaiting limousine and travel to your next destination. Whether you are visiting wineries, vineyards or breweries our expert staff will be sure to create lasting memories. 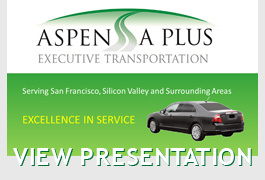 Aspen A Plus Executive Transportation provides companies with corporate Sonoma wine tour team building excursions. This is a great way to reward your employees, enjoy a corporate outing together or a great way to network. Sit back, relax and visit the many world class wineries located in the Sonoma Valley. No matter how large your group may be, we have the vehicle that can accommodate your needs. Our SUV's holds up to 7 passengers, our stretched Hummer Limousine holds up to 14 passengers and our Minibuses & Coaches can contain groups of all sizes. Call one of our corporate Sonoma wine tour team building specialists to set up your itinerary today. Enjoy the breathtaking scenery as Aspen A Plus Executive Transportation Sonoma Valley wine tour limousine service leads you and your guests on an unforgettable adventure through lush sweeping landscape of beautiful vineyards. Enjoy the sights as your personal chauffeur takes you and your guests on your wine tour adventure visiting one of the many exquisite wineries that Sonoma Valley has to offer. Choose to visit Chateau St. Jean and taste their award winning Chardonnay and Cabernet Sauvignon or visit the Kunde Family Estate and explore one of their aging caves. Sonoma Valley has a plethora of wineries to choose from and one of Aspen A Plus Executive Transportation specialists are available to customize a Sonoma Valley wine tour made especially for you with your interests in mind. View the directory of Sonoma Valley Wineries here.